Take two: Leongs cafe made a comeback as Marco Creative Cuisine. “As someone who wants to change the world and is quite good in problem solving, I know that being an entrepreneur is the right path. 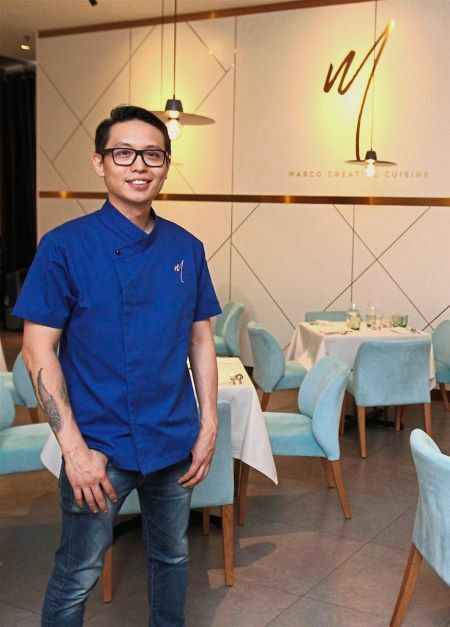 But I hadn’t found what business to be in yet,” says the founder of MM French Cafe Sdn Bhd. Leong graduated with a degree in information technology but realised that having good skills in sales was vital to be an entrepreneur. Where could he learn such skills, he had asked. He found the answer in the financial services industry as a personal financial consultant. Here, he learned to sell his services and pushed out products. Not long after, his uncle, who was in the food and beverage industry, asked Leong to join him in his bite-sized snack and dessert foods manufacturing business which gave him a good opportunity to understand how a business functions. Leong observed the operations that took place and helped out with various parts of the business. “I had to wake up as early as 4am to start preparing the kuih and to do the delivery rounds to restaurants and hotels. “One day, I saw a food and beverage restaurant chain and wanted to ask the owner how he managed to build such a successful brand and whether there was a potential for collaboration,” he explains. He reached out to the restaurant chain owner, but, alas, there was no reply. Well, not until a few years later anyway. But as the saying goes, better late than never. Leong met the owner years later and his long wait was rewarded. Not only did he share his “success recipe” with Leong, he also offered Leong a job as his personal assistant to learn the tricks of the trade. Leong gladly accepted the offer. “I remember this clearly, the owner told me that the questions we ask ourselves are important as we will put all our resources into getting the answers to those questions. And when you have knocked on enough doors, eventually one will open for you,” he says. A door did eventually open for him to learn more about the food industry when he took a job in a Singapore-based restaurant chain. It was a six-day-a-week work, 11 hours a day. It was also a lot of hard work and Leong was expected to be on his feet all day. “I worked in the kitchen as a cook despite the fact that I had never been a cook in my life! I learnt how a company’s system could train an inexperienced person to be a cook,” he says. Hanging around the food industry certainly answered some questions for this entrepreneur. Focused: Leong has looked at ways to become a better entrepreneur. Leong decided that he was going to open a restaurant and what’s more, he has already learned the ins and outs of the business over the years. Besides that, he also realised what it was that he wanted to address with his business – to provide food for the stomach, and for the soul. “Why does one go to a restaurant? In this era, one can obtain all the necessary recipes and cooking equipment is easy to use as well. One can prepare their own food at home, but why does one go to a restaurant?” he asks. The answer lies in the dining experience. When you provide the right products and services and go the extra mile for the customers, it gives them an experience that would keep them coming back. Leong didn’t want to just feed his customers, he wants to also give them the right experience. After piecing together the answers to his questions, Leong mustered enough courage to open his first restaurant in One Utama Shopping Centre, Petaling Jaya, in 2013. 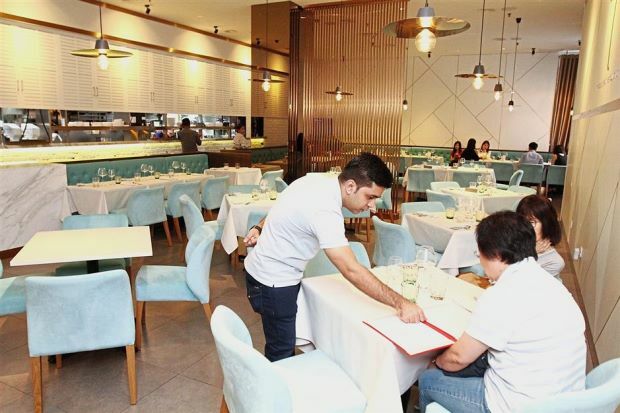 His experiences in the industry helped the restaurant become profitable soon enough and MM French Cafe caught the interest of a department store operator who was looking at an opportunity to diversify into the food and beverage segment. The department store operator purchased the MM French Cafe brand in 2016 and Leong looked for a new business model that would fit into the acquisition plan instead of merely becoming a franchisee of his earlier business. “We made a comeback with the Marco Creative Cuisine brand in March 2017 and we focused on affordable fine dining. We offer seven-course meals because when one is having a difficult day in the office, you don’t want to crack your head trying to think of what to eat,” he says. The 2,000 sq ft restaurant can accommodate about 60 people at any time. Marco Creative Cuisine serves about 100 to 150 customers a day. Entrepreneurship is a journey for Leong and he enjoys every part of it. For him, it is a continuous development of new menus and about surprising the customers. “When I jumped from an office environment to the kitchen, I continuously ask myself why am I doing what I am doing. This pushes me further towards my goal,” he concludes. [雪兰莪] 精致餐饮惊喜价Is Marco Creative Cuisine a deal you can’t refuse?